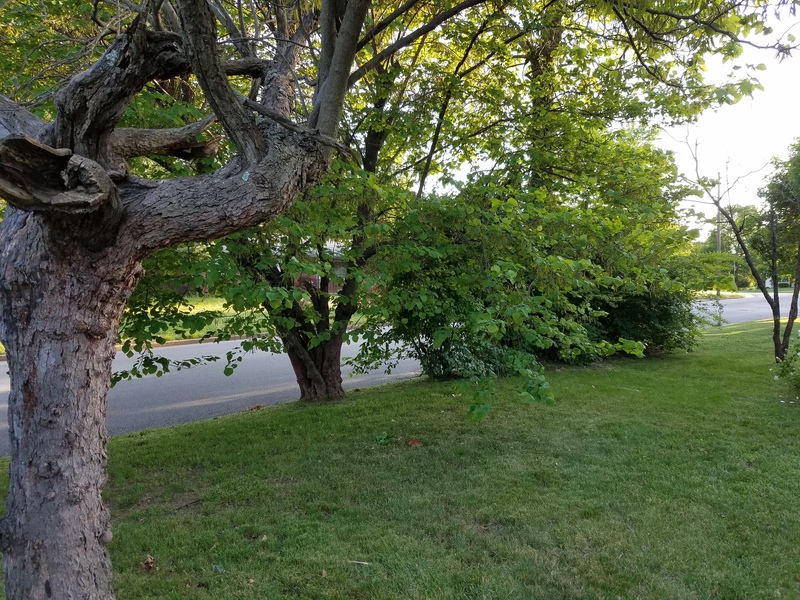 When Mac and Grandpa lived in the house from the 60s-80s, several trees, plants, shrubs, and even a garden were planted. From what I hear, the garden was enormous. There are several trees lining the side of the yard, and somewhere in the backyard, garlic is generously planted. Over the years, the amount of work required to keep all of that became overwhelming, so much of the landscaping was neglected. Behind the storage shed was our “playhouse” as kids. There used to be an apple tree there, but it’s gone now. The fence has excessive overgrown vines. They will need trimmed before they completely take over! The trees planted along the side of the road are excessively overgrown and haven’t been trimmed in ages. 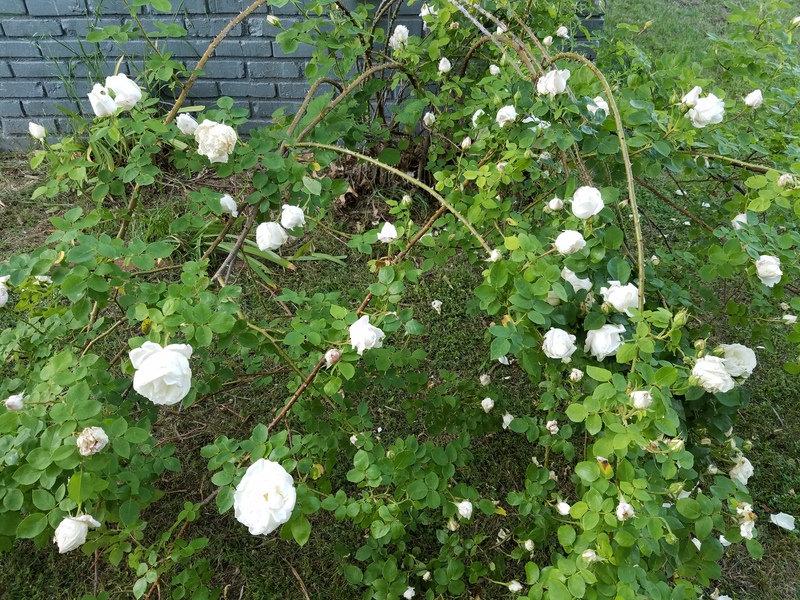 There are beautiful rose bushes sprinkled throughout the yard, but, as you can see, they haven’t been trimmed. 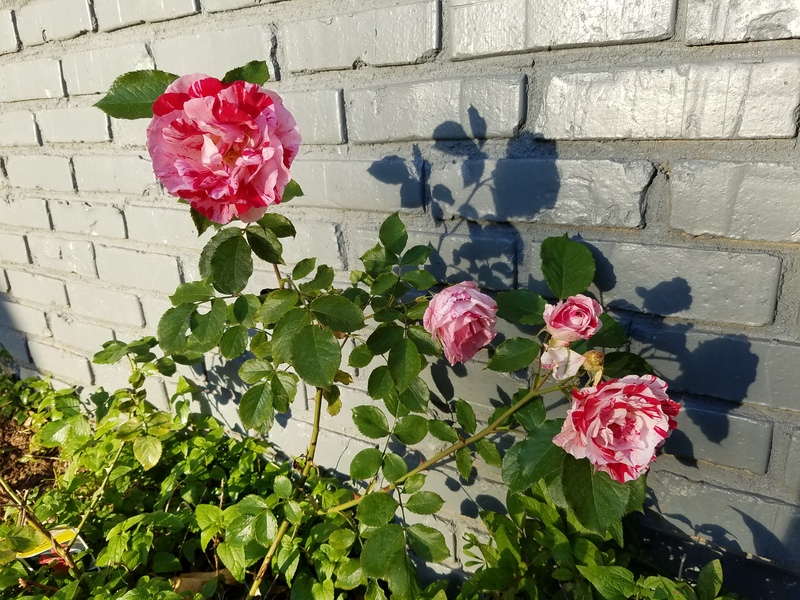 This particular rose bush has completely overtaken the side of the house. There is honeysuckle everywhere (which I love! ), but it’s massive. There are smaller blooming plants inside that honeysuckle, but it’s sucking the life out of them! 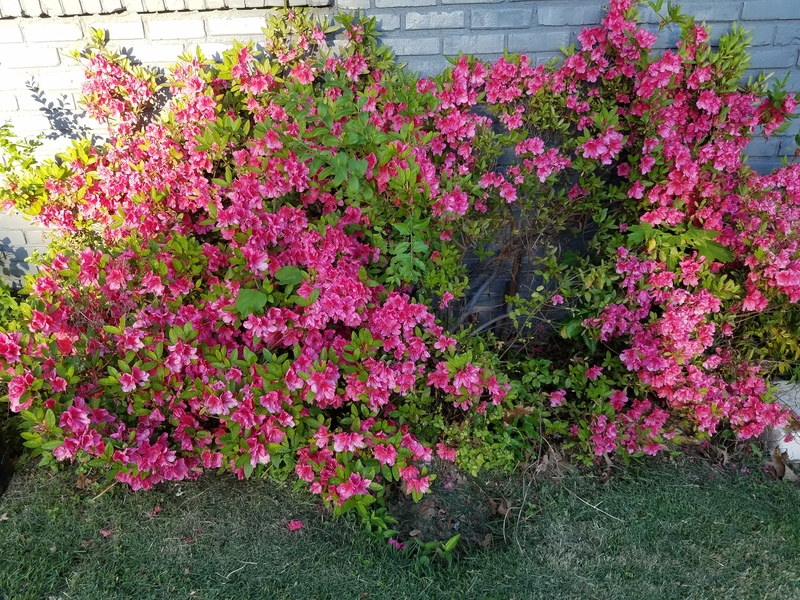 The beautiful pink azalea bushes lining the front of the house are mature and stunning, but they not only need trimmed and shaped, but there are patches that need more azaleas planted. The dahlia shrubs (I think that’s what they are?) 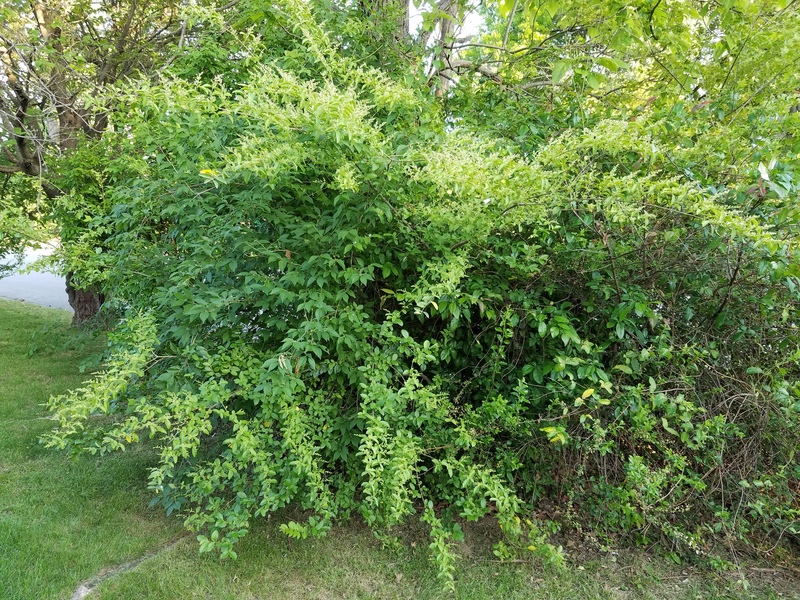 are hidden behind branches, weeds, and overgrown shrubs. But they are beautiful when they bloom! This dual colored rose bush was one that our family gave Mac. It has beautiful blooms, but it needs some trimming and a trellis. The blooming clover is such a fun surprise! They are randomly growing in the middle of the yard. Currently, the place is a jungle. I have my work cut out for me to improve the curb appeal of the plants and shrubs. I usually reserve those projects for the summer, so I’ll be starting this large task in the coming weeks. You do have a lot of pruning in your future. The plant you think is dahlias is in reality peonies. They bloom once in the spring and smell wonderful. My favorite flower. If you divide them in half you can have twice the blooms next year. They need full sun, and frequently need to be staked/corralled to keep the blooms from drooping. They make lovely cut flowers, but they frequently are covered with ants. I cut them at night and leave them in water in my garage overnight and the ants are gone in the morning. Enjoy them! Thanks for the tip! I will definitely leave them in the garage overnight. Your pretty little “clover” is actually oxallis. I inherited those in a house we bought. 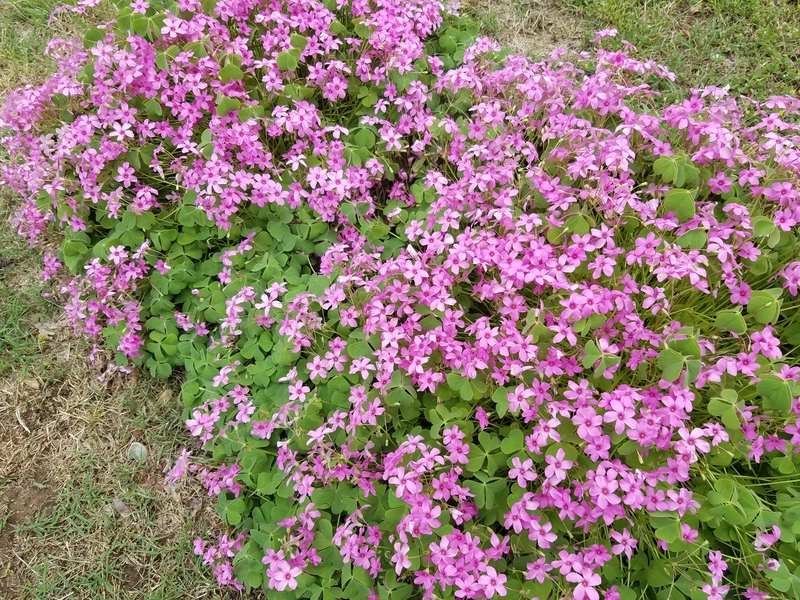 They thrived under the shrubs in semi-shade and moist soil and are actually very pretty “fillers”. I even gave some to neighbors. 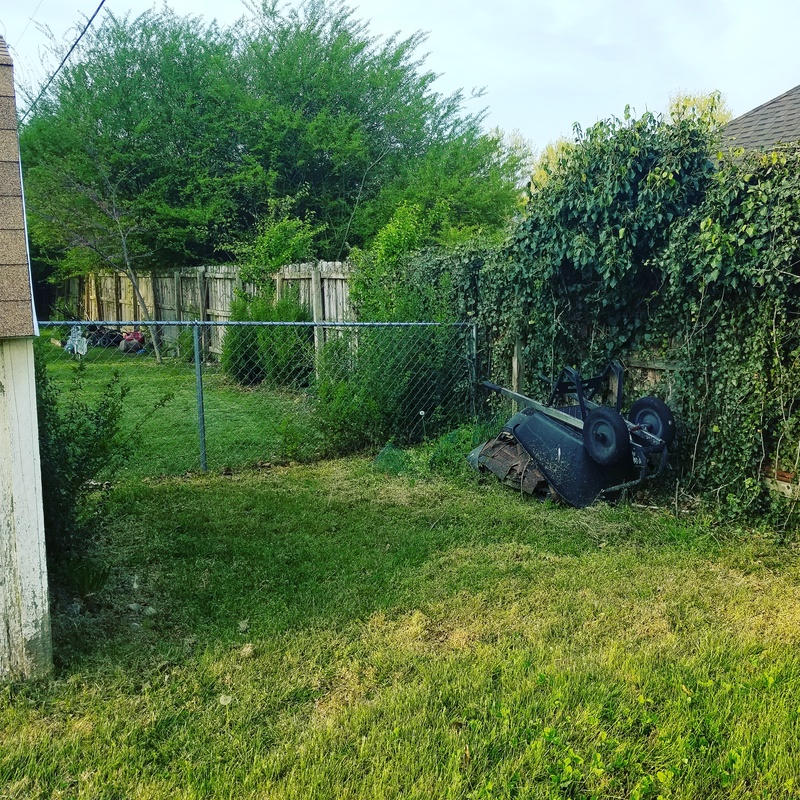 Your yard will be so pretty when all trimmed up.